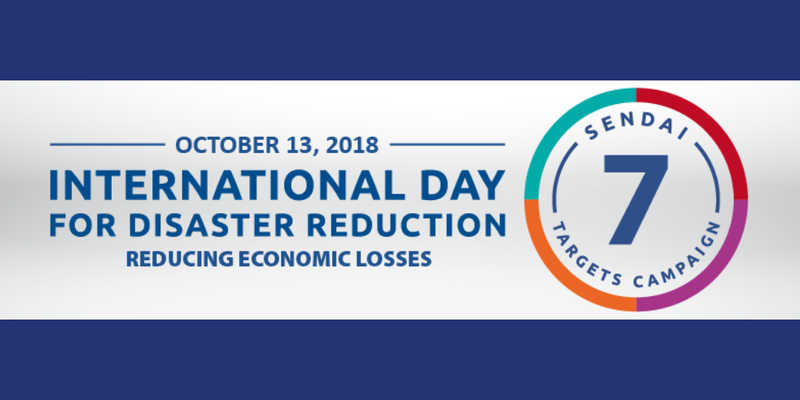 Tomorrow, Saturday October 13, marks International Day for Disaster Reduction – an event which celebrates how people and communities around the world are reducing their exposure to disasters. This year’s focus is on reducing the economic loss of disasters. Over the past few months, I have spoken to a number of CEOs and business leaders around the impacts of direct and indirect risk and resilience. Through these conversations, I discovered that most hadn’t heard of the Sendai Framework to Disaster Risk Reduction (DRR), which, in March 2015, was endorsed and committed to by the Australian Government. So, what is DRR all about, you ask? Essentially, Disaster Risk Reduction is based on the idea that natural ‘disasters’ don’t occur – natural ‘hazards’ do. As such, DRR aims to minimize the damage caused by natural hazards – such as earthquakes, floods, drought or other man-made events – through the idea of prevention. Put simply, a disaster’s severity depends on how much impact a hazard has on the community and the environment. The scale of this impact is dependent on the choices business leaders and community members make around their lives and the environment around them. Every decision affects our vulnerability, or more positively – our resilience. It’s all about choices. How do we reduce disaster risks? By reducing exposure to hazards, minimizing vulnerability of people and property, efficient management of land and the environment and improving preparedness – just to name a few. With that as background, the Sendai Framework for Disaster Risk Reduction 2015 – 2030 is a global plan designed to reduce existing disaster risk and prevent the creation of any new risks. It aims to shift the focus from disaster management to disaster risk management. When it comes to who is involved, the framework promotes a more collaborative and innovative approach, encouraging engagement from all parties. It also takes into account that the impacts of disasters affect people in different ways – economically right through to having health, education, society and environmental implications. Now, what does this mean for business? When it comes to supporting a community’s resilience to disaster, businesses play a vital role. Not only do they provide resources, expertise and many essential services that the community is dependent on, by having a thorough understanding of the risks they face, they can ensure they will be able to provide services during or immediately after a disaster – or hazard. So, to all businesses, if you do nothing more, atleast read this and put Disaster Risk Reduction on the agenda for your next conversation around risk and resilience. Doing Disasters Differently – why me, why now?